Learn about the Alemite 8301 Diaphragm Poly Pump Teflon Diaphragm Material. Includes pricing, features, and frequently asked questions. The Alemite 8301 1/4" Diaphragm Poly Pump is a diaphragm pump designed for high volume transfer and dispensing low-viscosity liquids. Dispense a variety of low viscosity fluids. With 125 psi Diaphragm Pump Pressure. Pros: High pressure liquid dispensing. Cons: Recommended for antifreeze and windshield washer fluid only. Bottomline: A budget-friendly diaphragm pump for dispensing low-viscosity liquids. The Alemite 8301 Diaphragm Pump retails for $362.12. Does the Alemite 8301 Diaphragm Pump have a warranty? Yes, all Alemite pumps come with a one-year manufacturer's warranty. Where can I buy the Alemite 8301 Diaphragm Pump? 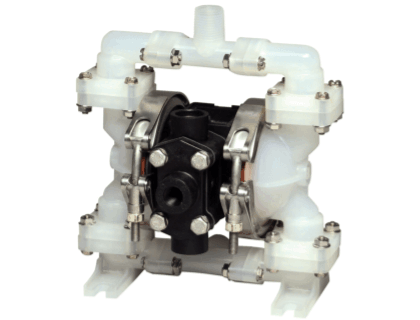 You can buy the Alemite 8301 Diaphragm Pump by clicking on the link above, or from sites like Megadepot. What are some Alemite 8301 Diaphragm Pump alternatives? Ace Glass 13070-07 Liquid Pump PTFE Diaphragm, Analog.